When it comes to storage, we are often asked, “What can go into a storage trailer?” It may seem simple, but in our experience, lack of education on this has led to problems. Items become ruined and situations dangerous when people don’t know the rules of storage. As you plan out what you need to store, keep a mental list (or, even better, a real list) of what can or cannot be stored, and be sure to pay attention to how it must be stored. If you are packing away household items, store only items that can survive temperature swings. Anything that needs to be climate-controlled, like some technology, and anything that is perishable should not go into your trailer. Any kind of food, plants (or anything living for that matter, including people.). Food (even pet food) will rot, attract bugs and rodents, and ultimately produce mold. Plants will do the same thing. Appliances may be stored if properly prepared. Make sure all food is cleaned out and no moisture or residue remains in or on the appliance being stored. It’s not that you can’t store hazardous items, it’s that you have to know how to store them. And you have to know what you can and can’t store together. If you are looking at storing anything from the list below, you need to make sure you’re following safety protocol. If you don’t pay close attention to how you’re storing hazardous items, you’re opening yourself up to risks on many levels. If you need consultation on storing hazardous materials, let us know. Storing these items can cause serious damage to the unit itself, to surrounding items and units, and can be hazardous to people. It’s why you must always stay aware. And a trailer storing hazardous materials must be properly labeled. 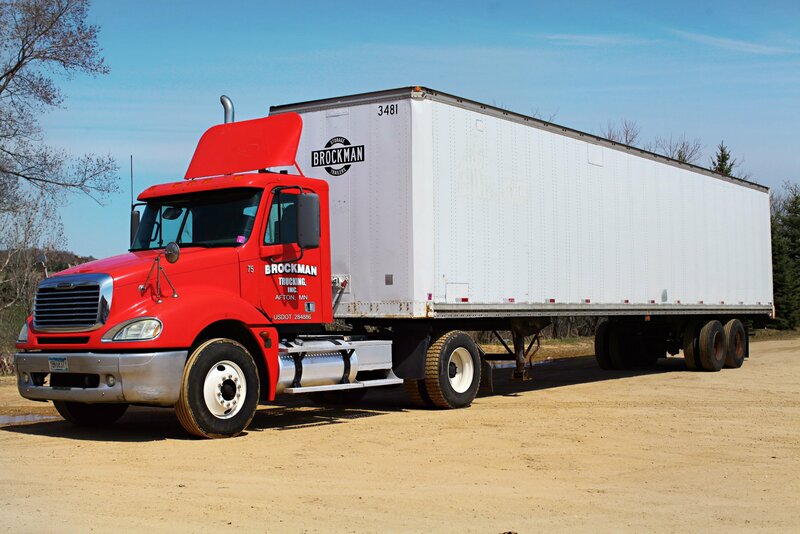 *At Brockman, we won’t haul trailers with hazardous material on them, and there can be no hazardous materials in any of our residential trailers. As obvious as this might sound, people are not allowed to live in storage trailers. Personal items do not include you. When renting your storage unit, do an inventory and check your list. Make sure you are aware of each item and what it needs to store properly. Keep your items dry, packed to withstand the weather changes, and all hazardous materials far away. And remember: Clean belongings store the best. If you follow these steps, you can set yourself up for success. Your items will stay intact and your future messes will be minimal.